World no.1 and no.2 face off in Melbourne as Novak Djokovic faces Rafael Nadal in the 2019 Australian Open final on Sunday. Can Djokovic continue his fantastic form over the past eight months by winning his 3rd successive grand slam title? This post contains our Djokovic vs Nadal betting preview, with free predictions, betting tips, best odds, exclusive promotions and no deposit free bets for all tennis punters. 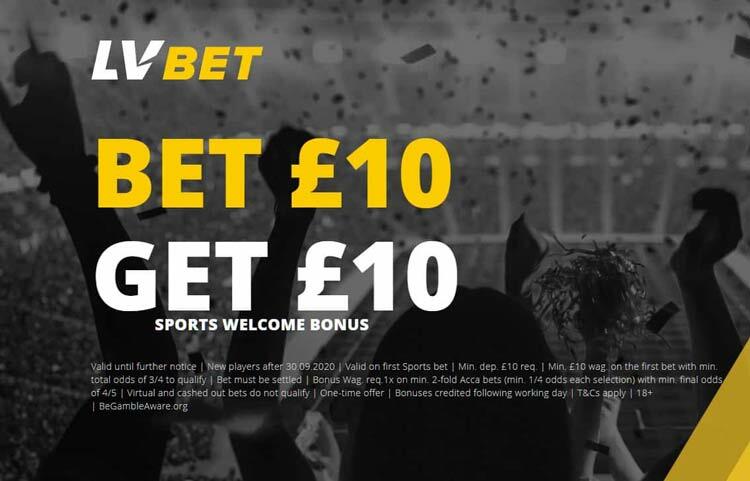 SportNation is offering a FREE tenner on the Super Bowl LIII! New customers only. No deposit required. Must have registered before 9pm 03/02/19. Free Bets must be used on the Super Bowl LIII at minimum odds of 1.2. 1x free bet per customer. Full terms apply. 18+ only. Begambleaware.org. Novak Djokovic hasn’t run into a whole lot of trouble on his way to the final. He defeated 24-year-old Lucas Pouille 6-0, 6-2, 6-2 in the semi-final, meaning that he has only dropped two sets so far - one against Denis Shapovalov and one against Daniil Medvedev. The likes of Mitchell Krueger and Jo-Wilfried Tsonga have been dispatched in straight sets while Kei Nishikori retired when he was one set down. Djokovic comes into it with a fantastic 72-33 record in his previous 105 (54-19 on hardcourt) but he has lost his last two finals, with both of those being on a hardcourt. Rafa Nadal beat 20-year-old Stefanos Tsitsipas 6-2, 6-4, 6-0 in the semifinal, meaning he is yet to concede a set in this Australian Open edition. In the previous rounds, the world number two picked up straight-set victories over James Duckworth, Matthew Ebden, Alex De Minaur, Tomas Berdych and Frances Tiafoe on his way to the semi-final. The Spaniard has had an extra day’s rest, compared to Djokovic, ahead of this final. Anyway, Nadal’s record in hardcourt finals is actually a negative 19-25. Djokovic and Nadal have met 52 times in total, 15 times in major opens, 7 times in the final. The Serbian is leading the series 27-25. It will be their 26th on a hard court, with Djokovic leading 18-7 on that surface. Their most recent hard court meeting was Indian Wells 2016, which Djokovic took in two sets. It will be their second in an Australian Open final - the Serb won a five-setter in 2012 that lasted 5 hours, 53 minutes, the longest Slam final ever. Anyway, as to Grand Slam finals, Nadal leads 4-3. The following are the highest odds on the Djokovic vs Nadal match winner market, obtained by comparing odds from all the UK's top online bookmakers! We recommend to claim best odds by clicking the yellow 'Bet' button. Wanna get exclusive price boost offers? Visit our Enhanced Odds page. Wanna learn How To Bet In-Play? Are you wondering which are the Best Betting Sites or bookmakers offering Cash Out or Acca Insurance? Take a look at our Betting Guide and find an answer to all your gambling questions! We offer much more than Tennis Predictions! You’ll find tons of daily predictions thorughout BetAndSkill, from football tips for today to horse racing picks, from NBA daily tips to BTTS predictions. "Djokovic vs Nadal Predictions, Betting Tips & Odds (Australian Open Final 2019)"